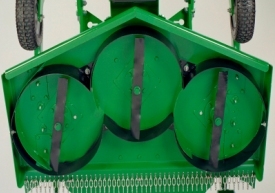 Maintain a clean and level look with efficient Grooming Mowers. 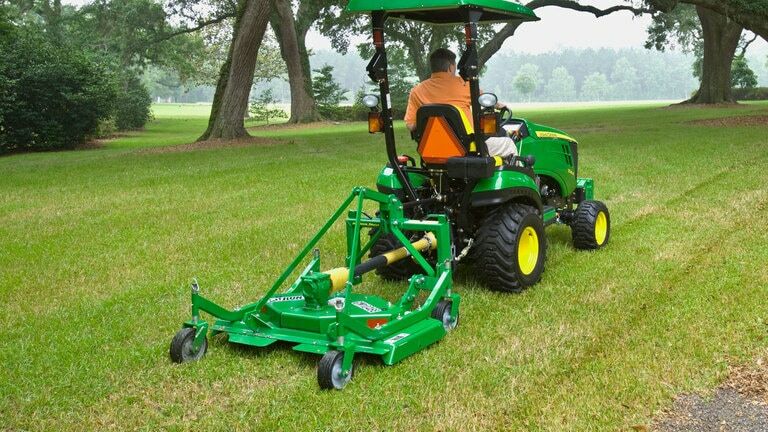 Designed to give a smooth cut on lawns, sporting fields, and golf courses. 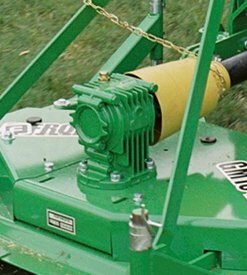 The GM10 Series Mowers come with a 30-hp rugged gearbox. Cooling fins help extend the life of the gearbox. These rear-discharge mowers are equipped with four swivel wheels that follow ground contours and prevent scalping. 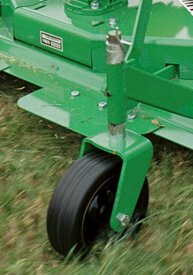 Stamped steel-reinforced wheel arms maintain a consistent cutting height.